For the past 26 years, Freeman Hrabowski III has served as UMBC president and become an influential international figure. Over the last day, he has added a new role: giddy steward of the school with the best story in NCAA men's basketball tournament history. CHARLOTTE, N.C. — Freeman Hrabowski III, the university president and most notable dreamer at Maryland Baltimore County, didn’t close his eyes until 6 a.m. Saturday. He had too many text messages to answer, too many calls to take, too many voice mails to retrieve. He had too many people to hug, too many whys and hows to try to explain, too many Friday night thrills to relive. The transformative 67-year-old educator is a UMBC evangelist, a civil rights activist and a self-described mega nerd. For 31 years, he has helped transform the public university in Catonsville into a school of 13,600 students recognized for excellence and innovation in engineering and science. For the past 26 years, he has served as the president and become an influential international figure. And over the last day, he has added a new role: giddy steward of the school with the best story in NCAA men’s basketball tournament history. Hrabowski has always been a gifted talker. Now his gab includes unrestrained laughter after nearly every sentence. “I’ve got the kind of goose bumps that I get when I’m solving a math problem,” he said. On Friday night, UMBC beat Virginia and became the first No. 16 seed to oust a No. 1 in the NCAA men’s basketball tournament. The Retrievers accomplished the feat two days after the 20th anniversary of No. 16 seed Harvard’s historic triumph over Stanford in the 1998 women’s tournament. Hrabowski doesn’t need to employ any complicated math to understand the magnitude of this breakthrough. And for as much as he has done to elevate UMBC to distinction, for as great an orator of the school’s prestige as he is, he knows this basketball triumph has provided the most powerful megaphone to extol UMBC’s virtue. After a 74-54 victory over Virginia, UMBC has America’s attention. It is ready to listen to every remarkable thing about the university. What does this monumental achievement reveal about UMBC? Hrabowski can whittle it down to one word that defines the university in academics, in athletics and in overall attitude: grit. That’s what he wants you to remember most about UMBC. It refers to itself as the House of Grit. Its mascot — a Chesapeake Bay retriever, not a golden retriever, thank you very much — is named True Grit. The Retrievers are Cinderella because that is how the NCAA tournament has long defined delightful underdogs. But their success is no fanciful tale. They earned it. They earn every accolade they receive. There was a time when such a message from Hrabowski wouldn’t resonate. There was a time when it wasn’t fashionable to dream at UMBC. But that was long ago, even if the school still operates mostly under the radar. 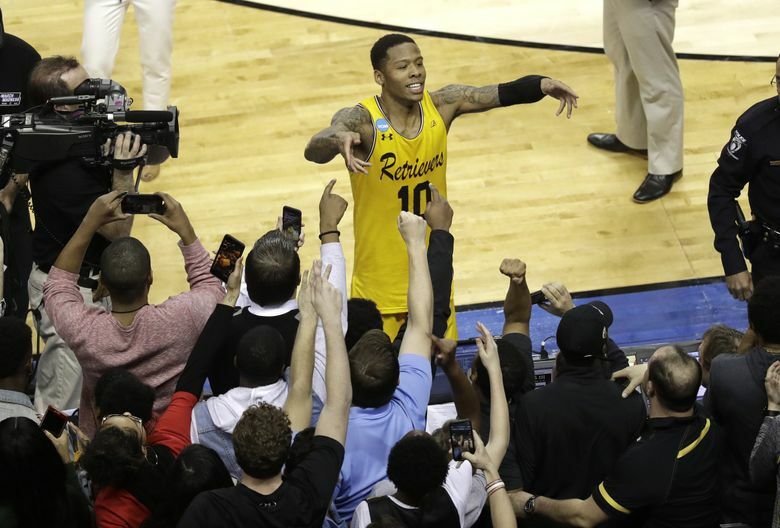 The basketball team exemplifies the spirit of UMBC, which is unapologetically aspirational. The Retrievers aren’t underdogs at everything. You should know they are the Duke of chess and cyber security. But in all they do, the goal is to “be an example of inclusive excellence and innovation,” Hrabowski said. You see a diverse team on the court, from 132-pound Puerto Rican point guard K.J. Maura to the sweet-shooting Joe Sherburne from Whitefish Bay, Wisconsin, to top scorer Jairus Lyles leading a roster with four Maryland locals. They are a reflection of the UMBC ideal. Kind thoughts kept coming in, and Hrabowski did his best to spread the praise, reminding that Athletic Director Tim Hall deserves the credit for the inspired hiring of Coach Ryan Odom two years ago and lauding the organized effort it took to fund the new 5,000-seat, $85 million arena that opened in February. To build the event center without raising tuition, UMBC used planned savings for the project, gifts and sponsorships, money from the University System of Maryland and borrowed the rest. 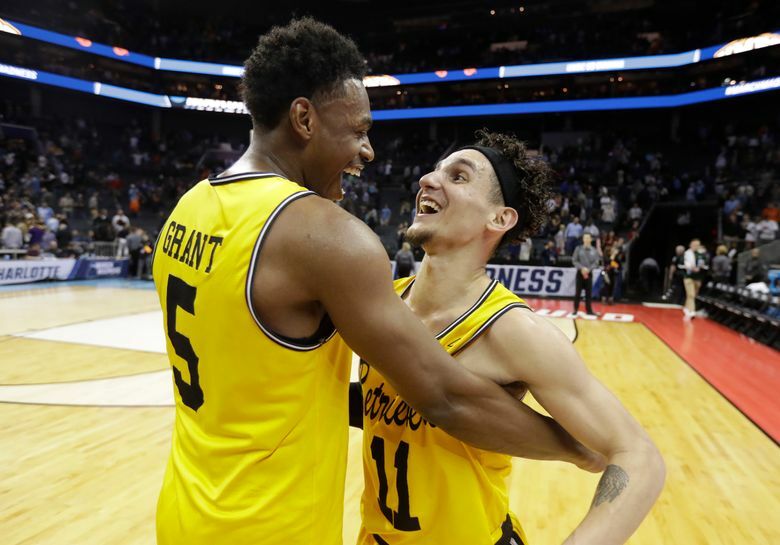 The facilities upgrade could help spur sustained men’s basketball success, which is something that Hrabowski has hoped for since UMBC made its first Division I NCAA tournament appearance 10 years ago. For so long, it was up to Hrabowski to tell the story as frequently and eloquently as he could. He did it well, but there were still many who missed the message. Then the basketball team made history, and the nation has never been more curious about the House of Grit. “So you’re coming to visit campus, right?” Hrabowski asked me after finding out I’ve never been to UMBC in almost three years living in the region. “I’ll tell you how to get there. It’s so close to BWI airport that I can get to the terminal faster than if I were staying at an airport hotel. We’re going to get you there. What we have here is brainpower, not ball power. And grit. It’s a special place. I’m getting goose bumps again. I’ll be there, anticipating goose bumps.